Heerema not only welcomes engineers and people with other technical backgrounds. If you have a business or commercial background and are interested in our activities, we gladly invite you to contact our recruiters. Heerema consistently pushes the boundaries of what is possible in demanding marine conditions. We work on projects that pose unique planning and engineering challenges, with clients depending on us to develop groundbreaking solutions. That is why we attract talented men and women who love to roll up their sleeves to tackle a challenge head on. We are also home to people who work well with individuals from different cultures and disciplines. Our people value engineering mastery as well as care for safety, the environment and the well-being of their colleagues and clients. We invest in the development of our people, for example through a leadership development program that allows our talent to grow. Our incentive scheme awards people for both their individual performance and the company’s achievements. 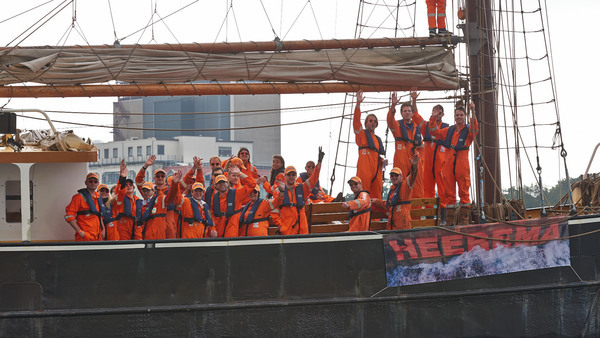 The scope and scale of the Heerema Group offers onshore and offshore talent unique development opportunities. We encourage our people to explore positions across our divisions and create opportunities to work on site of our projects around the world. Our people are loyal and often remain with the group for decades rather than years. Where possible we accommodate fitness and other sports and sponsor employee initiatives for sport events.